With billions of images shared daily across a growing number of channels and touchpoints, there are now more opportunities for people to consume content and discover products than ever before. The result? Visual commerce – the emerging need for marketers and brands to understand how images engage and convert consumers at every point of the purchase funnel. If this sounds familiar, then you're among the 77% of marketers who agree there's a growing amount of pressure to connect visual content to ROI. Develop and source new, creative content for your brand. 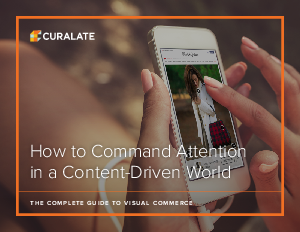 Harness your visual data to discover which images really resonate with your fans. Monetize your visual content, and measure the new ROI – Return on Image. So, are you ready to unlock the power of your visual content? Download your free marketing guide today.